The world’s first scratched hard drive data recovery training course has came to a happy ending and Dolphin Data Lab has transferred the advanced data recovery technologies and solutions for scratched hard drives to users from Turkey, Belgium and Mexico. This is one important training course for both data recovery engineers worldwide and Dolphin team. For Dolphin team, it is necessary to find out the shortages, demands for different levels of engineers, best methods of sharing the scratched hdd recovery solutions so that users can make best use of the training courses. For attendees to this training courses, they can be the first data recovery engineers in their countries to offer scratched hdd recovery services and they will be much more competitive than any other data recovery service suppliers. Within this scratched hdd recovery training course, Dolphin engineers explained in details all the key data recovery components in firmware and HDD physical structure, their relationship, how they work and how they combine to work together properly. The most important, Dolphin team explained the scratched types, what scratches are recoveryable and what are not. Among all scratched recovery cases, Dolphin team taught the solutions to recover lost data from scratched hdds with inner tracks scratched and outer tracks scratched. 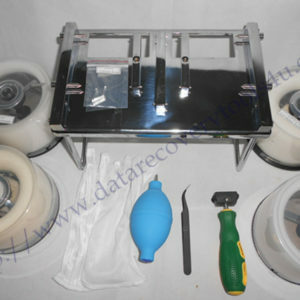 For inner tracks scratched, users need to have special data recovery tips and knowledge to limit the heads’ parking location on the platters; For outer tracks scratched, users need to use the specially designed scratched head comb sets to bypass the scratched areas and then use professional firmware repair and data recovery tools to get data off. All attendees to this data recovery training courses have recorded the valuable videos to handle these difficult cases and they can handle by themselves when they go back to their offices. Attendees were very happy and satisfactory and got more than expectation from this training course. 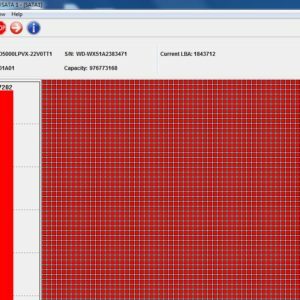 Dolphin team are preparing more and making this unique scratched hdd recovery training course more beneficial to more users coming to Dolphin Data Lab.